(WACO) – Vicky Lackey, 60, of Teague first learned about programming languages, or coding, in the late 1970s on desktop computers in the Dallas-Fort Worth area. 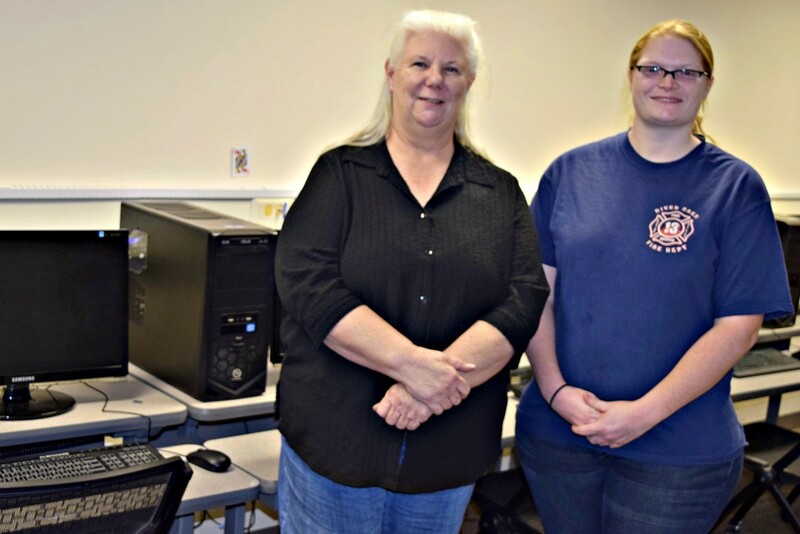 Lackey’s inspirations for continuing her education last year at Texas State Technical College were the excitement of technology’s evolution and her children. When she enrolled to pursue the Associate of Applied Science degree in Computer Programming Technology, she learned a new set of programming languages like C# (C Sharp) and Java. Lackey’s goal after graduation is to work in computer programming and then be self-employed. There are more than 77,100 women who are computer programmers, according to the U.S. Department of Labor. The number of men in the field is more than 370,000. Texas had more than 20,800 computer programmers as of May 2017, according to the U.S. Bureau of Labor Statistics. Texas had an annual mean wage of $86,200, which is higher than its border states, according to the labor statistics agency. TSTC’s Computer Programming Technology pathway gets a variety of students who are interested in video games and those who are new to learning about coding and technology. Some of TSTC’s Computer Programming Technology majors choose also to study Cloud and Data Center Management to broaden their job potential. Jones pointed to the construction field as needing competent coders in the future, especially as 3D printing is adapted for projects. “When you look at getting the jobs, it is how good a programmer you are,” Jones said. TSTC’s instructors try to make the process of learning coding and solving problems as interactive as possible. Twenty-six percent of professional computing jobs in the United States were held by women in 2017, according to the National Center for Women and Information Technology. Kaitlyn Lyons, 25, of Hillsboro had computer experience before attending TSTC, but learning the coding language was new to her. She said she gets tutoring when needed to better understand programming concepts. After graduation next year, she wants to work for a company and return to college for a business degree. Lyons’ advice to primary and secondary school girls is to pay attention to the classes they take. This entry was posted in Waco on November 30, 2018 by Daniel Perry.